In a fission reaction large atoms split into smaller atoms, and energy is produced. Click the following link for demonstrations and explanations concerning fission. 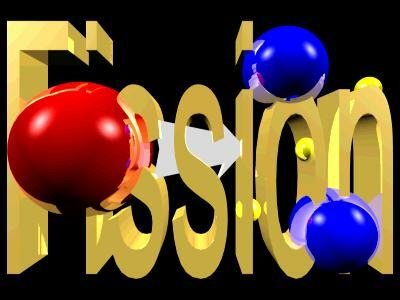 In a fusion reaction small atoms come together to form larger atoms, and energy is released. 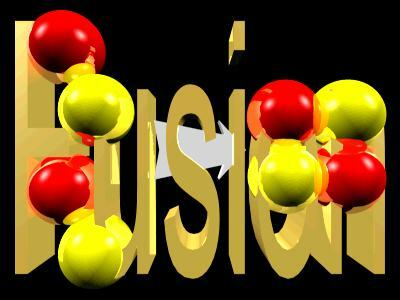 Click the following link for demonstrations and explanations concerning fusion.